The ultimate guide to Salla ski holidays in 2019 & 2020. Staying in Salla is all about stepping into the stuff of Christmas cards and spending a week on the same wavelength as nature. The tourist office describe it as being ‘faraway Lapland’ and ‘in the middle of snowhere’ – north of the Arctic Circle and close to the Russian border, it really is (on a clear day you can see over to Russia at the top of the slopes). Salla is less well known than the bigger Lappish resorts of Levi and Ylläs and with the midnight sun in summer as well as spectacular views of the Northern lights in winter it’s perfect for an authentic Sami experience. The area is small, tranquil and so peaceful that it gives a completely fresh outlook on a ski resort. The Reindeer park is only a short distance away and there are lots of other wintery activities to get stuck in to; from winter walks to husky rides and snowmobiling. Just because the resort is in the wilderness it’s not totally inaccessible. The two nearest airports are Kuusamo and Rovaniemi, both within a two hour radius. If you take the train to Kemijarvi there is a transfer service to get you from A to B. The actual village of Salla is 10km away from the resort, if you don’t want to hire a car there’s a bus service running in the week so you can stock up on supplies and visit the bank, post office etc. Surrounded by coniferous trees and miles of rolling snow-covered landscape, the ski resort was the foundation for Finnish skiing and the first location for downhill and slalom competitions. The ski area rises up the Sallatunturi Fell with the resort’s hotels and cabins dotted around the base as well as the Tunturikauppa shop (your go-to place for milk, bread and other essentials), snowmobile rental and the ski school. View our detailed Salla snow forecast or snow report and see all live webcams, piste maps, road and travel maps and lift pass prices. For a picture of historic snow conditions see the snow depths month by month with our Salla snow history. “Tunturi” is the word describing the treeless mountains that make up some of the ski areas in Finland. There isn’t a massive amount of skiing in the Sallatunturi but this is the beauty of the place as it encourages you to try other activities and enjoy the peace and quiet. The children’s nursery slope is at resort level near the Keloravintola restaurant, where kids can warm up with a pizza after ski school. There are 5 blues – mostly on the far side of the mountain, where the Itärinne and Pohjoisrinne runs are easy to navigate as well as being wide and gentle. All have a campfire hut at the bottom where you can warm up at the end of the run and the three Itärinne runs finish off by a café. To get back to the resort, ski the blue Eturinne. The four red and four black runs are perfect for polishing turns and perfecting style. Kuntolatu is 5km long and Ruuhitunturi is a bit easier (and has a café en route). This area stands out amongst the other ski resorts in Finland for having an FIS competition slalom slope that the national team practice. There’s also lots of off-piste to explore. The Itarinne slope has 1km of cool stuff for some freestyling; boxes, rails, presses and more. If you have a 5 day+ pass, you can ski the neighbouring resorts of Ruka and Pyha, which have a bit more skiing. Cross-country routes cover 160km of stunning trails, which can change on an annual basis - part of the reason people love to return here. From December through to January the sun cashes in early. There are a number of floodlit runs, including in the cross-country area, if you want to carry on skiing (and they usually stay lit into the night). As the home of Father Christmas, the best thing about Lapland is being able to get down to some seriously wintery activities. Start with a Husky ride across the pristine Finnish landscape. You can also snowmobile as a passenger or driver and take part in a hut safari ride. 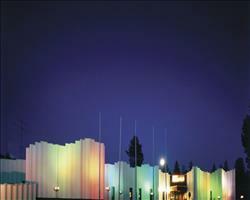 Guided tours are available in the day and under a starry sky. The Reindeer Tour is a great one for children and if they’re very good, they can even visit Santa’s secret cottage. The Northern Light reindeer ride won’t be one you’ll forget in a hurry and the hot drinks will keep you going into the night, but do wrap up warm! Children will love the Salla Reindeer Park as you can help feed the animals and join in the organised rides. There is a restaurant right next door in the Lappish Kota shelter. From here you also have a choice of snowshoe excursions. If you’re feeling really brave, you can go for a swim in an ice-hole (the Holiday Club Spa is a nice place to warm up afterwards...). Part of the area was lost to Russia during the Winter War of 1939 and history buffs can learn more at the Salla Museum of War and Reconstruction. The ice cold waters produce some tasty fish and the Baltic herring is often on the menu (you can even catch it yourself in an ice-fishing activity!). The local cuisine will introduce some new tastes, from Reindeer tongue and steak to Lapp cheese and cloudberries. Revontuli’s menu is a good place to start, maybe after a cosy drink at Koptapubi. The Pub Panana Pupi is not only a fun tongue twister but is great for a drink – you might even get a performance from a Finnish rock band. The Log restaurant is at the base of the slopes will cook you up a hearty pasta dish. When is the best time to ski Salla? If you heard a European skiing resort was at 213m you’d probably shake your head in disbelief but the low Scandinavian temperatures make this a very snow-sure place despite the altitude. In a place where you’re more likely spot a reindeer than a human you’ll soon forget what it’s like to actually have to queue at the lifts, so worrying about the week you pick being busy should be a thing of the past. From December through to January there are a lot less sunlight hours, but the more popular routes, including the cross-country runs, are well lit so you don’t lose precious ski time. In January the average temperatures are -4°C (even in June it doesn’t get much more than 16°C), so proper thermal layers are essential - don’t forget to leave room in your pockets for hand warmers, lip balm and your favourite beanie. Although the Northern Lights happen all year round, the best time to see the aurora is on a clear night when the temperature is below freezing - usually between autumn and spring around 9pm - 1am. This is an excellent destination if you’re a family looking for quality time together over a week that’ll be hard to forget. The Werneri Ski School does a good job of teaching children and with the whole ski area all on one fell, you’ll never be far from the rest of the clan. If the little ones are picking up the basics on the nursery slope, the bunny slope is right by the Keloravintola Restaurant, where proud parents can watch them progress with a warming mug of Finnish glögi. Look out for the resort mascot Sasuv the bear, who you’ll recognise by his red scarf and hat – he sometimes gives out stickers which make lovely souvenirs. Christmas is obviously a fantastic time to come as being Lapland, you get the hype of real life reindeer and whisperings of Father Christmas that may turn into actual visits. 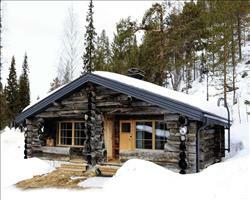 You can also pop over to his secret cottage in Korvatunturi for an unforgettable treat for the kids. There are heaps of non-skiing activities to try together... Guided snowmobile tours are great fun (you can have a driver or take to the driving seat yourself). 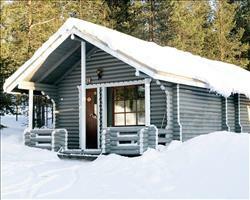 The Reindeer Park is only a five minute drive from Salla - where you can meet, ride and feed Santa’s faithful helpers. No week in Lapland would be complete without a Husky ride which can also be organised from the reindeer park. Snuggle up in a blanket as you speed a long or learn how to steer and guide the dogs yourself. The Log restaurant will welcome you with a good pizza and pasta or if you feel like a treat there’s a super restaurant in the Hotel Revontuli. Before you set off to explore this magical winter wilderness, make sure you pack lots of layers and fleeces as well as good quality hats and gloves – it gets very cold out here in the winter months! The accommodation and restaurants do a stellar job at keeping warm and there are usually campfire huts at the bottom of the slopes where you can warm up before heading back to the lifts. If you’re a group looking for heaps of skiing topped off with a totally crazy après ski scene, you might want to hit the search bar again. This resort is for the wilderness-lovers; those that want to be on the same wavelength as nature and explore the area with a husky or two. 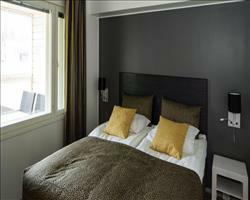 It’s not all about the skiing as there are so many winter activities to try out, which really gives Salla the edge over other European resorts. Snowmobiling, the reindeer park, snowshoeing and Husky rides all come under this category and can make for something fun to do together, whether you’re having an afternoon off from the slopes or prefer to not ski full stop. In the evenings there are one or two restaurants to try out. The Log restaurant has a lovely laid back vibe and the restaurant in the Hotel Revontuli should set you up for a nice evening. The Pub Panana Pupi is the place to go for a quiet drink together – ask the barman for a warming mug of Finnish glögi or cloudberry liquor if you fancy trying some local favourites. 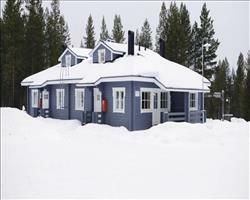 Salla is a quiet and well laid out resort. It had everything we needed and I’d say it’s a really good place for beginner skiers. December was cold (as expected) but nice and snowy. I’d recommend the huskies experience which is very good.